Writing a case study means providing a thorough analysis of a certain situation or case. It could either be used for developing a proposal, documenting a report, or simply doing a research on an information that interests and benefits you. The theme of your case study depends on your area or field of interest. If you are a business student, for example, you can conduct your case study on a particular company. Your purpose here is to analyze a specific issue and provide a possible solution to the readers. Your goal is to find ways on how to solve a particular problem. So to help you, take a look at the following tips on how to write a case study. Identify the topic for your case study, particularly with relevance to your area of specialization. When you choose a topic, make sure that it will not only interest your readers but will also benefit them. Conduct a research on your chosen topic. Aside from internet sources, try to visit your school library and look for journals, books, newspapers, and magazines related to your study. Remember to get the bibliographic information for your citations. Choose a particular site on where to carry out your study. Look for companies, organizations, or individuals who are currently facing the same issue. Make sure that they are also up to solving the identified problem. Perform an interview with your chosen respondents. When you raise a question, be sure that it is not only answerable by yes or no. With open-ended questions, you will surely get what you need. Find out about their feelings towards the issue and ask how they face the particular situation. After gathering information, analyze the data you have collected from the interview. Collaborate the results of your interview with the information you have gathered through research. When you start writing, describe the problem in your introduction using the information you have researched. Then provide a background information about your respondents and where you have conducted your case study. Lay down the results of your study in the next sections. Tackle what you have learned from the respondents, including the solutions they have tried, as well as the feelings they have regarding the particular issue. 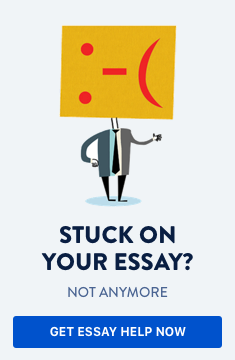 Conclude your study by wrapping up and providing a possible solution. Then briefly discuss how the respondents think about the proposed solution. But make sure to leave your readers the chance to come up with their own answers. A case study requires a deep analysis. For writing, one needs enough knowledge in a certain field and the ability to conduct a heavy research. You then have to apply the different concepts and theories you have gathered in order to solve a particular issue. So, if you are still hesitant about how to write a case study, go over the above guidelines.